What’s the fuss, my dear? After all, it’s just mere barang hantaran. Anxious not, for I’ll lift up your haze of misery. Sit back and keep on reading! 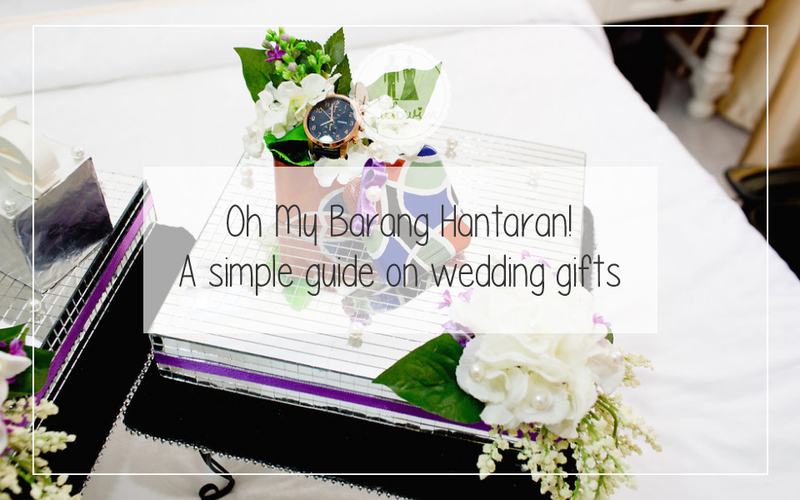 Barang hantaran is basically wedding gifts that the bride and groom give to each other. Nowadays, they are usually given not just to adhere the old tradition but to enlighten one’s wedding too. 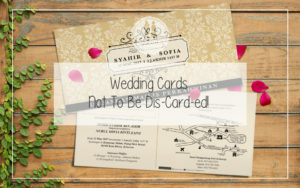 Hmm, glad that you know a thing or two about marriage but contrary to what you believe, both the bride and the groom have to give barang hantaran to each other. 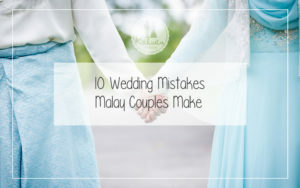 At least, that’s how it works in the Malay wedding customs. You can give anything to your bride or groom. I repeat, anything. Yes, my dear. 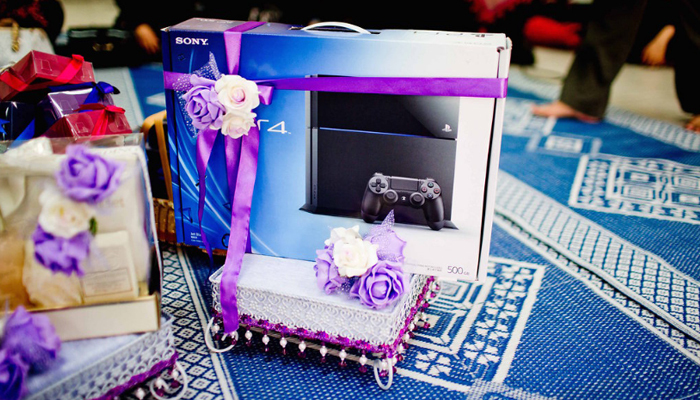 Items ranging from electronics, clothing, food, books and body care products can be used as your barang hantaran. Clothes, Al-Quran or even iPhones. Usually, people give stuffs like modest clothing, body care products, food and pastries. Let’s say you want 7 items as your barang hantaran. You can give Al-Quran, prayer veil, a New Balance running shoes, The Body Shop products, cupcakes and chocolates. Well, not really. It is a must to bring ‘tepak sirih’ at the engagement ceremony. But as for weddings, it is rather optional. So, the choice is in your hands. Here’s a piece of advice. Select your barang hantaran according to your colour theme. Let say your theme is greenish blue or turquoise. Choose something that has got to do with your theme. You should not pick something that clashes with your theme. In other words, do not waver away from your theme. A neon pink wallet amidst a turquoise theme is a big no. Can you imagine having a single tray of pink in the midst of your turquoise theme? As funny as it sounds, you should definitely not be the one to do this silly mistake. 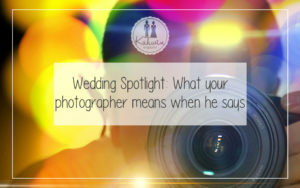 Besides, it won’t look good in pictures even if it is taken by a professional photographer. Is it 5 By 7? Or 7 by 9? Still confused about the amount of barang hantaran? Well, don’t be anymore. Actually, the numbers depend on you and your other half. You should discuss it with your future in-laws. Usually, the bride would give 2 more barang hantaran than the groom. If the groom is to give 7, then the bride would be giving 9. As simple as that. Even so, it’s still okay if both of you want to give the same amount. There’s nothing wrong in having 7 by 7. But do remember that it is a norm to have barang hantaran in odd numbers. Because back in the old days, the Malays believe that even numbers bring bad luck. Wow, the Malays sure are full of customs and traditions! By size, I mean the size of your barang hantaran of course. Don’t get the wrong message here, my dear. When choosing them, avoid picking the enormous ones. This is pretty crucial as you need to put them on your trays (don’t worry, we’ll dive into trays later on). And if you were to browse the ones at any shop, you would see that trays usually come in small or average sizes only, so you should surely opt for the average or small size items instead of the large ones. It is undeniable that all of us want the best for our wedding. As exciting as it sounds, you should always remember to spend within your budget. In other words, don’t overspend. At the end of the day, you don’t want a huge debt at the start of your marriage life, right? Always remember that it’s not a sin to have a simple wedding. In fact, simplicity is the ultimate sophistication. Thus, keep it simple, keep it elegant. How Should I Present the Barang Hantaran? Huh, thank goodness you’ve passed the choosing process! It’s quite a hassle, isn’t it? Let’s proceed to the presentation part then. Well, first of all, you need trays (or, dulang in Malay). Haha, because that’s the custom lah! As for the number of trays, it should be equivalent to your number of barang hantaran. For example, you have 7 barang hantaran. 7 Barang Hantaran equals to? Yes, you got it right! But, for those with more than 7 barang hantaran, you can also put two items on one tray. Basically, you are going to use the trays to put your barang hantaran. Got the Trays. What Now? I bet you’ve been to your relatives’ wedding before. If you could recall, maybe you’d remember that the trays of barang hantaran were normally adorned or decorated with flowers. Lovely, isn’t it? So, what are you waiting for? It’s time to revamp those boring trays! To fellow DIYers out there, decorating your own hantaran trays may seem like a dream come true. You can decorate it using your own imagination. You can use plastic flowers, ribbons and laces. No one can stop your creativeness. After all, it’s your wedding! Head to Pinterest or other craft sites for some wonderful ideas. On top of that, you can ask some help from your relatives. Besides catering to those trays, you will also strengthen the family bond. Other than that, their help could definitely save you precious pennies. But let’s face it. Not everyone is too keen on the idea of designing their own hantaran trays. 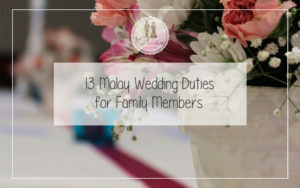 And for those who doesn’t, you can go to a local malay wedding shop or simply search online and pay for the services. This is surely for those who have a big fat budget. 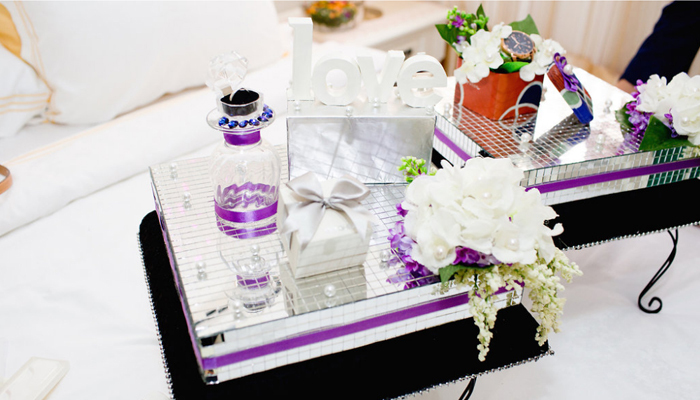 In accordance to your money spent, your hantaran trays will definitely bear a nicer and more organized touch. Moreover, you could request for the famous Victorian look. Prettify with white flowers and garnish with ribbons and fine laces, this Victorian or English-style look is definitely the new black in town! All in all, the hantaran is a rather simple thing to deal with. Just bear in mind that it is in fact, easy. And presto! 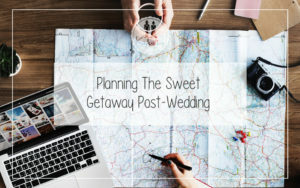 Everything will go as planned for your solemnization ceremony. It’s normal for future bride or groom to be restless or anxious before the day. But that doesn’t mean you should be one! Cheer up and let that positive vibe of yours rub on others. For all will be well if you do so. What is the most unique barang hantaran you’ve ever seen? Share with us by commenting below.